The 2024 UEFA European Football Championship, commonly referred to as UEFA Euro 2024 or simply Euro 2024, will be the 17th edition of the UEFA European Championship, the quadrennial international men's football championship of Europe organized by UEFA. Germany will host the tournament in June and July 2024. On 8 March 2017, UEFA announced that only two countries, Germany and Turkey, had announced their intentions to host the tournament before the deadline of 3 March 2017. The host was selected on 27 September 2018 in Nyon, Switzerland. The UEFA Executive Committee voted for the host in a secret ballot, with only a simple majority required to determine the host. In the event of a tie, the UEFA President would cast the decisive vote. Of the twenty members of the Executive Committee, two were ineligible to vote and one was absent, leaving a total of seventeen voting members. As hosts, Germany qualified automatically, with the 23 remaining spots to be determined through qualification. The qualifying draw has been expected to take place in December 2022. ^ Germany may still qualify for UEFA Euro 2020, which would be their 13th appearance. Otherwise, they will have qualified 12 times prior. Germany had a plethora of stadia that satisfied UEFA's minimum capacity requirement of 40,000 seats for European Championship matches. Nine venues used at the 2006 FIFA World Cup were selected: Berlin, Dortmund, Munich, Cologne, Stuttgart, Hamburg, Leipzig, Frankfurt and Gelsenkirchen. Düsseldorf, which was not used in 2006 but had previously been used for the 1974 FIFA World Cup and UEFA Euro 1988, will serve as a 10th venue; conversely, Hanover, Nuremberg and Kaiserslautern, host cities in 2006, will not be used for this championship. The final tournament draw has been planned for December 2023. ^ "Euro 2024: Tournament to be held in Germany or Turkey". BBC Sport. British Broadcasting Corporation. 8 March 2017. Retrieved 8 March 2017. ^ "Germany and Turkey officially interested in hosting UEFA EURO 2024". UEFA. 8 March 2017. ^ "Germany to host UEFA EURO 2024". UEFA. 27 September 2018. ^ "UEFA EURO 2024: bid regulations" (PDF). UEFA. 9 December 2016. ^ a b "UEFA EURO 2024: tournament requirements" (PDF). UEFA. 17 March 2017. ^ "Evaluierungsbericht Stadien/Städte" [Evaluation report stadiums/cities] (PDF). DFB.de (in German). German Football Association. 2017. Retrieved 15 September 2017. ^ "EURO 2024 an Rhein und Ruhr". nrw.de (in German). 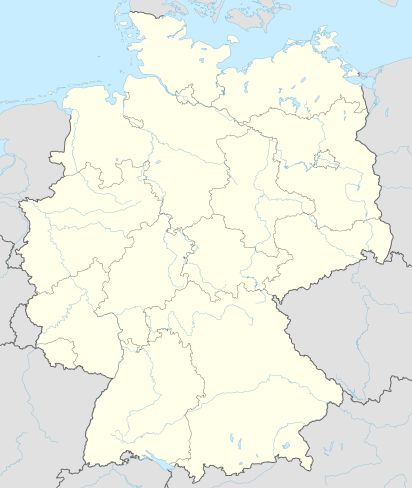 North Rhine-Westphalia State Government. 27 September 2018. Retrieved 28 September 2018.